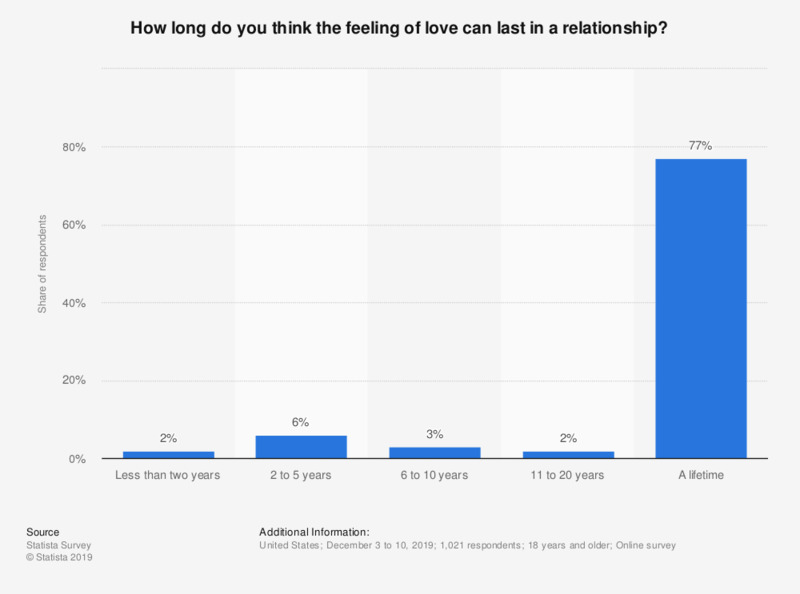 This statistic shows the results of a survey conducted in the United States in 2017 on how long the respondents thought the feeling of love could last in a relationship. According to 89 percent of respondents, the feeling of love in a relationship can last a lifetime. Original question: "How long do you think the feeling of love can last in a relationship?"